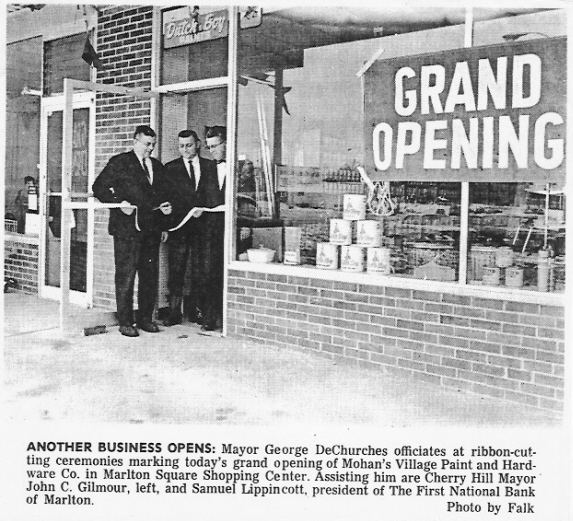 March 3, 1966 Photo. 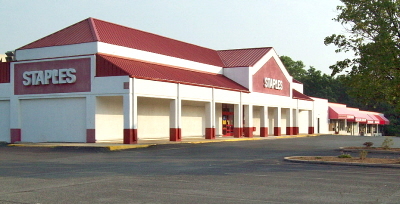 This space is now part of the Staples store. June, 1966 Photo. 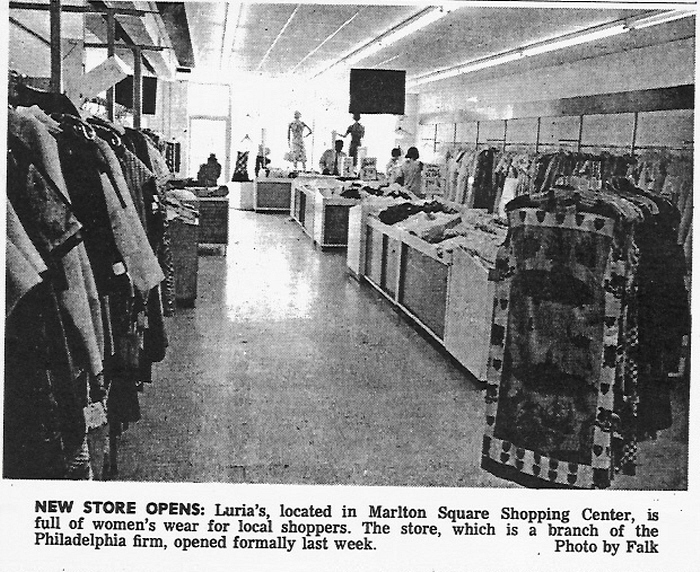 This was Luria's Woman's Store, Luria's Men's Wear was in a seperate store which also opened at this time and became Factory Outlet Store in 1969. 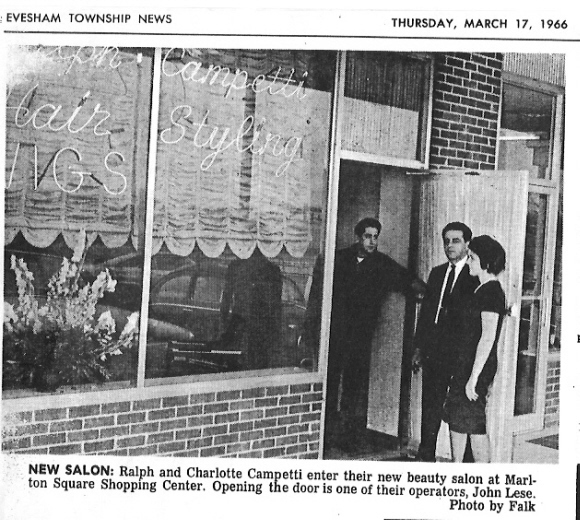 Campetti's Later became La Casa De Morace Salon then White Mink Salon. 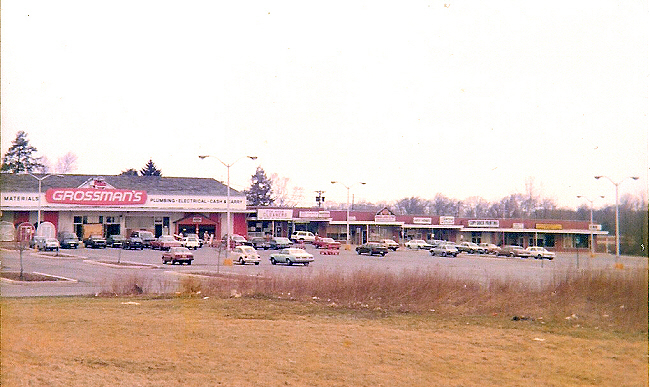 After this Paperback Exchange occupied this space from 1976 to 1983. 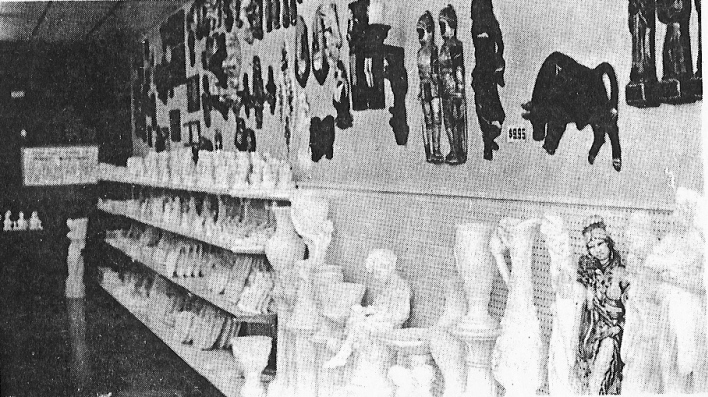 After two tenants closed here, Paperback Exchange returned to this storefront in 1999 from a location at Route 73 and Baker Blvd. and remained until 2006. 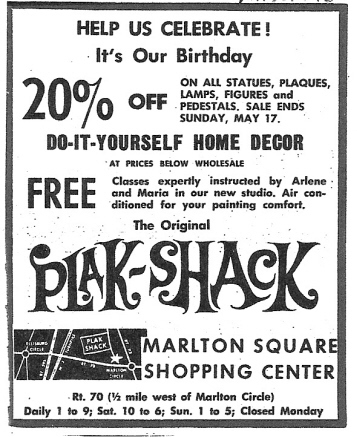 The Plak-Shack sold unpained plaques and figures that the customer would paint themselves. 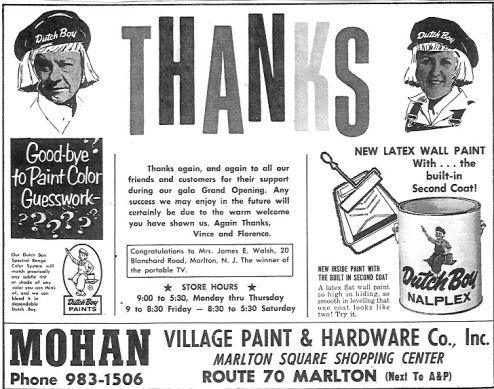 This store was later Lee's Karate School. 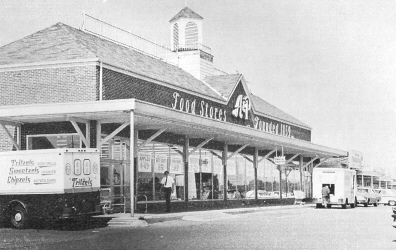 Route 70 & Cropwell Road Marlton, N.J.
Marlton Square was developed by Luria's Marlton, Inc. in 1965 over what was part of the Holtz Farm. 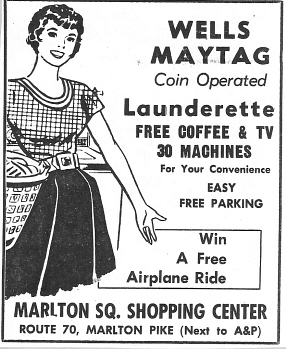 It was one of the first modern shopping centers in Evesham and was the largest for several years. 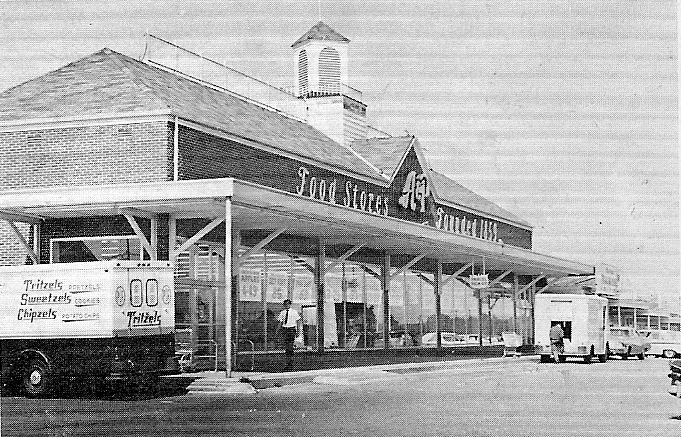 The center opened with an A&P Food Store in December, 1965. 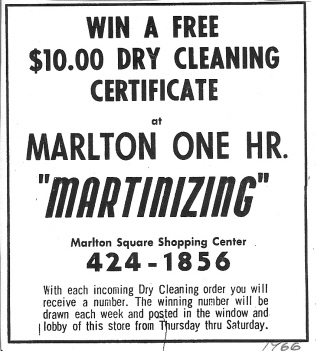 The original stores were Martinizing Dry Cleaners, Mohan Village Paint & Hardware, Great Men's Barber Shop, Pickel Barrel Deli, Ralph Campetti Hair Styling, Well's Maytag Launderette, Luria's Men's Store, Luria Reality, Plak-Shack Home Decor, Luria's Woman's Wear. 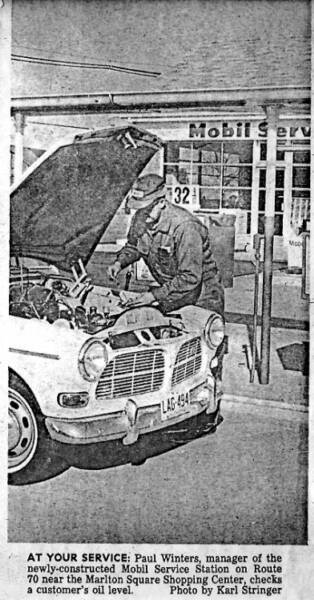 January, 1967. This station was later Lukoil and was demolished in 2013. A Seven-Eleven store is being built on the site. 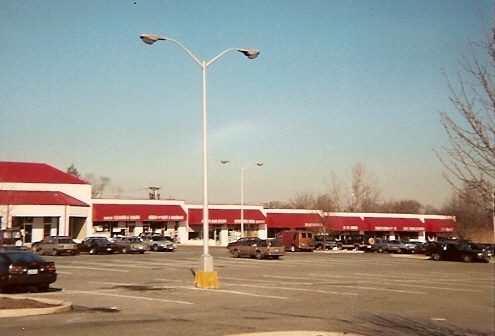 Marlton Square after 1989 renovations when Staples took over the former Grossmans Lumber space. 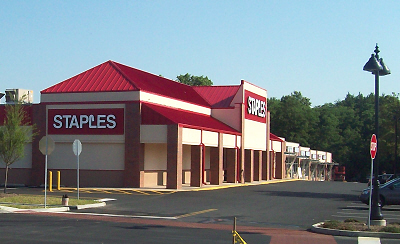 In 1997 Marlton Square was renamed Staples Plaza. 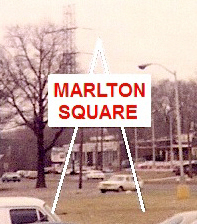 The Marlton Square name was then used for a shopping center at Main Street and Route 73. 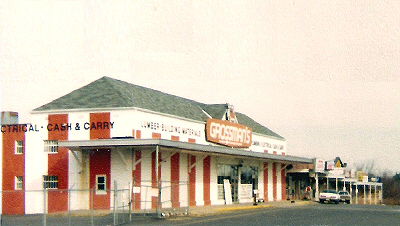 After A&P closed in July, 1975, Grossman's Lumber took over the space in the summer of 1976. The center at the start of renovations in early 2013. 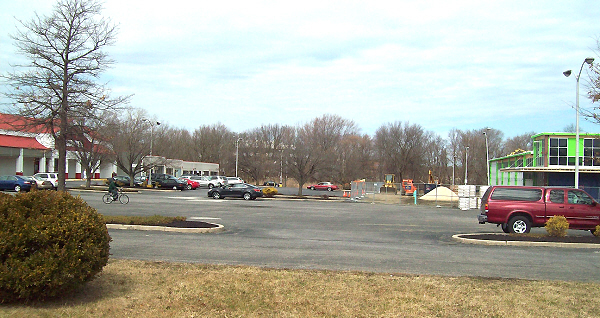 ALDI Market is shown on teh right being built over part of the parking lot. Mohan's remained here as one of the last original tennants until the mid 1990s. 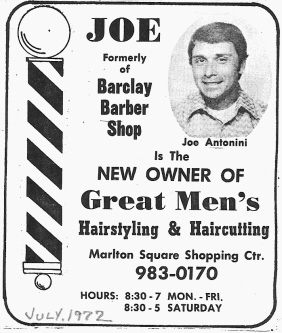 The store then moved to a building on Route 70 across from Woodstream Shopping Center and closed by 2000. Marlton Square in four different eras from the same vantage point.. 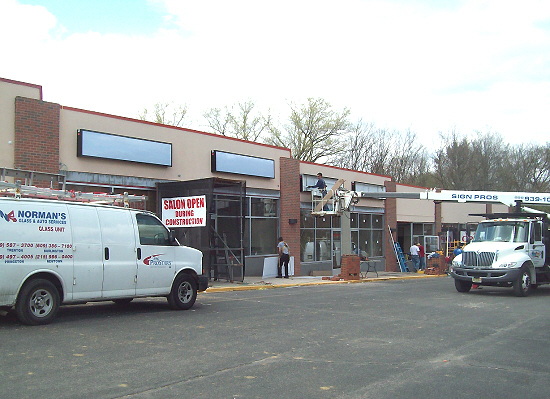 This April, 2013 photo shows the center during renovations. New storefronts, brick trim, signage and color scheme are part of the plans along with new porches. 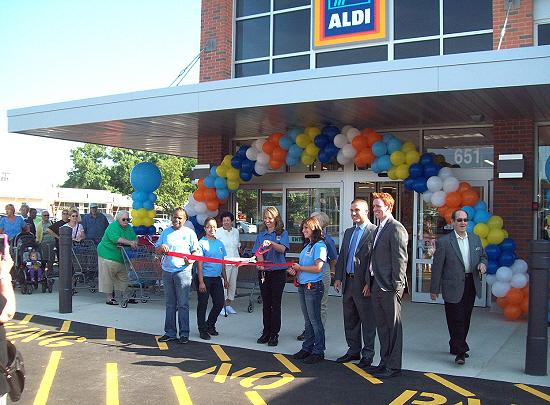 ALDI Food Market held thier Grand Opening here on June 20, 2013.